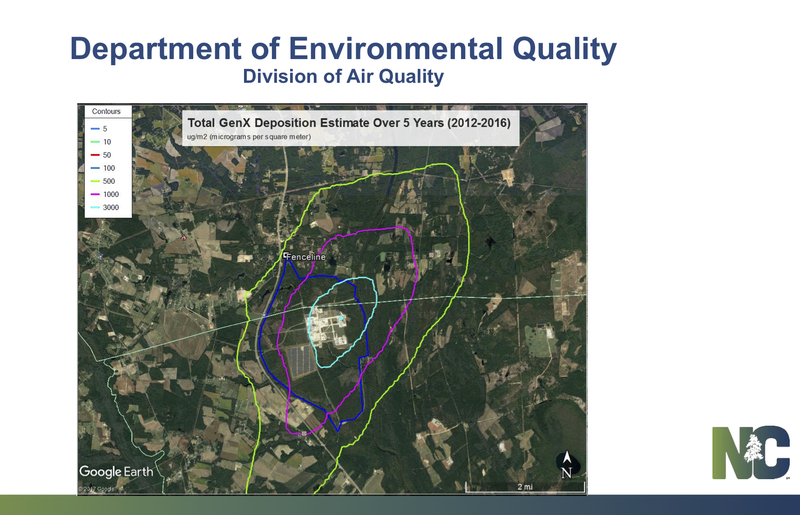 This map shows where GenX could be detected as the result of “atmospheric deposition.” This means the compound is leaving the Chemours plant through its stacks, entering the air and then falling onto the soil, where it can seep into groundwater. Chemours has stopped discharging all wastewater from its manufacturing processes at its Fayetteville Works plant, a ban that will become permanent as a condition of the company’s new permit. 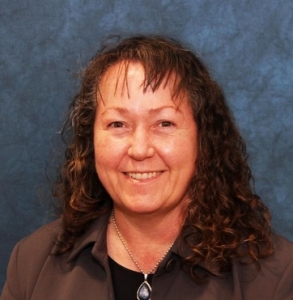 Assistant Secretary of the Environment Sheila Holman told the the House Select Committee on River Quality yesterday that department staff were visiting the plant to ensure the company complied with the order. The Department of Environmental Quality had taken enforcement action — a civil penalty should be announced by mid-December — because Chemours failed to report a spill of GenX for more than a month. In addition to hearing updates on water and air emissions from the plant, Chairman Rep. Ted Davis announced that the committee would unveil legislation at its next meeting on January 4. The public will also be invited to comment at that meeting. The committee would vote on the measures and forward them to the full House for the January 10 special session. The legislature is scheduled to take up only constitutional amendments in January, but it could pass other measures. The committee is required to issue a final report before the regular short session begins in May. “There is no easy fix,” Davis said, adding that “long-term proposals” — including appropriations — would be taken up in the spring. Lawmakers have been stingy with DEQ appropriations, particularly since conservatives assumed the majority in 2011. Each year, DEQ’s budget has fallen far short of the agency’s needs. In August, the legislature rebuffed Gov. 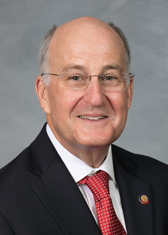 Roy Cooper’s $2.6 million request to help DEQ and the Department of Health and Human Services address both the GenX crisis and water quality issues statewide. Instead, lawmakers gave $250,000 to UNC Wilmington and $185,000 to the Cape Fear River Public Utility Authority. DEQ is badly underfunded, leading to a shortage of staff to perform key work. The number of permit writers in the National Pollution Discharge Elimination System (NPDES) section, which oversees facilities that discharge wastewater, such as Chemours, has decreased from 14.5 full-time equivalent positions to 9.5 over the past decade. This reduction, combined with the increase in workload for regulating the coal ash impoundments, has resulted in a significant backlog. Forty percent of the 230 major NPDES permits have expired, according to DEQ figures, but the facilities are allowed to operate as long as they applied for their renewals on time. Permits must be renewed every five years. Chemours has been operating on an expired permit that had been “administratively continued” for that reason. Over the next month, committee members plan to draft potential legislation for the January 4 meeting. The Southern Environmental Law Center and eight other North Carolina environmental groups, plus Wilmington activists, sent a list of proposals to the committee. These include restoring $1.8 million into the DEQ budget and adding $1 million for water quality issues. Davis said he had reviewed the advocates’ proposals but seemed reluctant to incorporate them into January’s legislation. “We’re looking for non-controversial, short-term solutions,” he said, and would defer more complicated measures until the spring. It’s a fair criticism to say DEQ was caught flat-footed in June when it learned of the GenX contamination from the Wilmington Star-News. And the public exasperation, shared by lawmakers, is understandable, as well. However, over the past two months, the committee has learned just how intractable the problem of emerging contaminants is. These compounds, such as GenX, are not regulated by the EPA, hard to detect at low levels using traditional testing equipment — which means samples must be shipped to an outside lab, delaying the arrival of the results — and even more difficult, if not impossible to remove. It’s a nationwide problem that North Carolina, like most states, is ill-equipped to deal with. As for Chemours, it’s also fair to say the company has been recalcitrant in its compliance. It has issued blanket statements to the media claiming it is “cooperating” with state, local and federal authorities, but an illegal spill on October 6 — which the company did not report for a month — demonstrates Chemours’ reluctance to do that. Now Chemours’ permit is in jeopardy because of the spill, which contaminated drinking water at the Bladen Bluffs water treatment plant in Brunswick County. On November 16, DEQ notified the company it would revoke part of its current NPDES permit, the portion that deals with wastewater from manufacturing processes. The revocation will go into effect January 15. DEQ will issue a new permit to Chemours that prohibits that type of wastewater from discharging from the plant. DEQ is performing stack emissions tests and analyzing wind patterns to better understand where other water sources could be contaminated. In the summer, Holman said, the winds generally blow from southwest to northeast — across the plant property. This could help explain why GenX was found in private wells uphill and north of the facility. Meanwhile, more wells near the plant have tested positive for GenX — 34 above the state’s provisional health goal of 140 parts per trillion (ppt) and another 48 below that benchmark. The maximum concentrations in two wells reached 1,300 and 1,200 ppt, respectively. Some of the emerging contaminants could have also wound up in sludge from the public water treatment plants. It’s common for these plants to separate the “biosolids” from their discharge. That material can then be applied to farm fields as fertilizer. Linda Culpepper, acting director of the Division of Water Quality, said the agency has “tentative plans” to test the biosolids and to conduct monitoring. The company had been collecting the contaminated wastewater in tanks and trucking it to Arkansas for incineration. Now, Holman said, Chemours is transporting the contamination via rail to Texas, where it will be placed in deep injection wells. Texas has 7,000 such wells, which are primarily used for fracking fluid disposal. These wells burrow below the aquifer, ostensibly to protect groundwater. However, fracking has caused earthquakes and changed the groundwater flow in parts of the state. And the wells can leak. Herein lies the problem with not only weak state regulations, but those at the federal level. The EPA continues to repeal or dilute environmental protections, and has placed industry representatives in positions of power within the agency. Against that backdrop, it’s important to note that the pollution from the Chemours plant is not disappearing, but merely being moved. Some of North Carolina’s problem went to Arkansas. And now it belongs to Texas.